This season, FIRST® Robotics Competition teams find themselves on planet Primus in DESTINATION: DEEP SPACE Presented By The Boeing Company. Alliances will gather as many cargo pods as possible and prepare their spaceships for liftoff before the next sandstorm arrives. 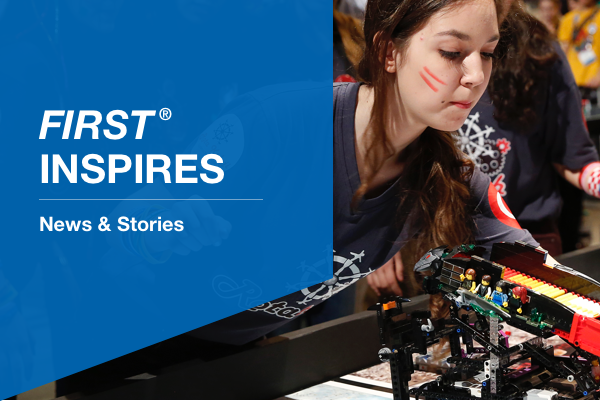 When Rose Lam was in fourth grade, she and her friends started The Ponytail Posse, an all-girls FIRST® LEGO® League team that later progressed into a FIRST® Tech Challenge team. Now a FIRST® alum, Rose reflects on the team’s nine-year journey – and the “massive head start” they gained on their futures. In Thessaloniki, Greece, participation in FIRST LEGO League is helping young alumni improve school engagement and dismantle stereotypes in their neighborhood of Dendropotamos. FIRST President Don Bossi explores three reasons business leaders should resolve to motivate employees to use their skills, time, and resources to give back.